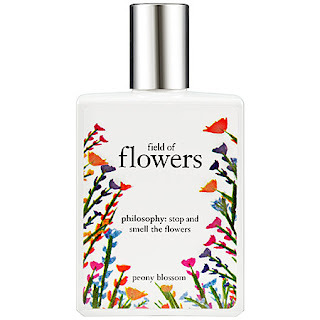 Check out the NEW fragrance Field of Flower Peony Blossom By Philosophy. I purchased this yesterday and love it! It's so spring fresh and addictive! Such a cute bottle design. A flower is the embodiment of everything that is right and beautiful in this world, and a field of flowers is the ultimate expression of joy. Philosophy’s Field of Flowers fragrance collection features fresh, pretty florals and beautiful blossoms to inspire contentment and leave women feeling cherished. Enjoy a beautiful bouquet every day of the week by layering, mixing, and experimenting to build your personal fragrance wardrobe. Miss America Peony, Mandarin Honeysuckle, Satin Woods.